Our intrinsically safe digital igniter testers deliver uncompromising performance, precision, and protection. 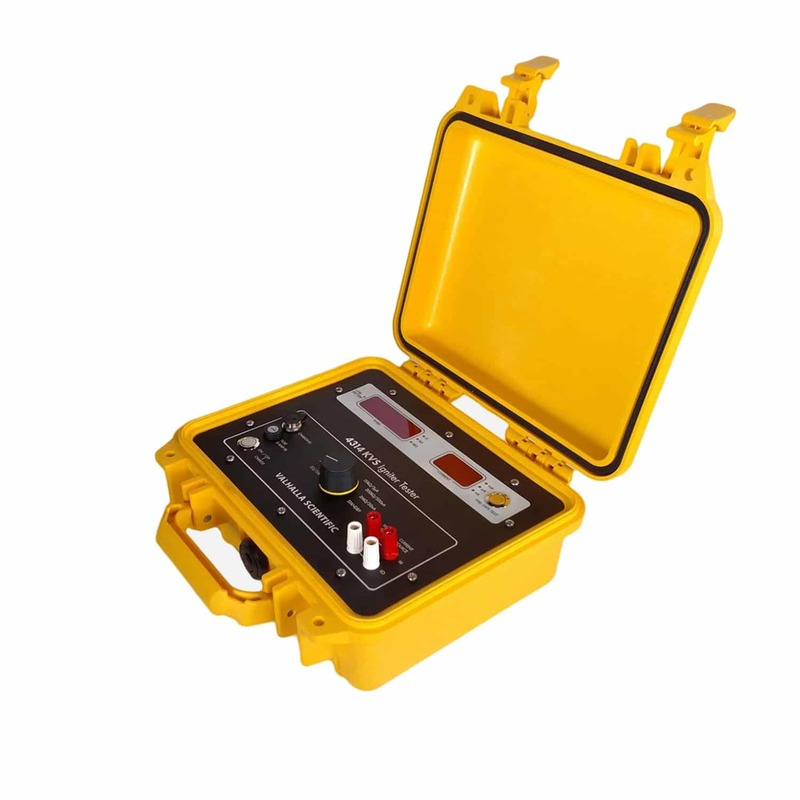 Our circuit testers are designed for use explosive or sensitive devices, including ballistics, triggers, airbags, engines, propulsion, rockets, and much more. Engineers and QC technicians trust our precision squib testers across the manufacturing, aviation, aerospace, automotive, and defense industries. They also have been approved by the Department of Defense for special projects and are utilized by every major branch of the US Military, including the Army, Navy, Air Force, and Marines. 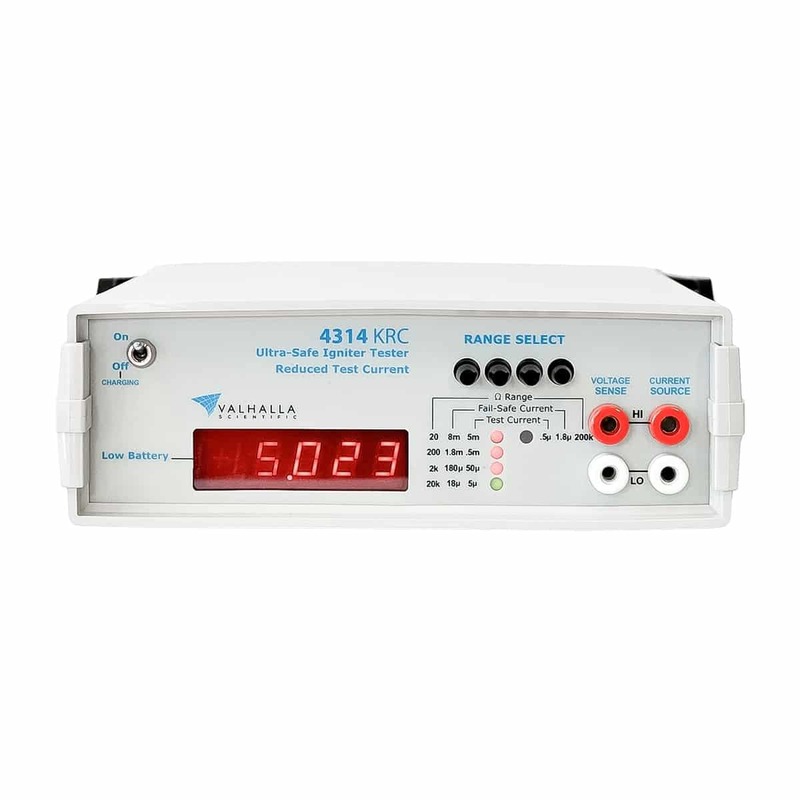 Every model features multiple test ranges, fail-safe currents, and 4-wire Kelvin connectors. 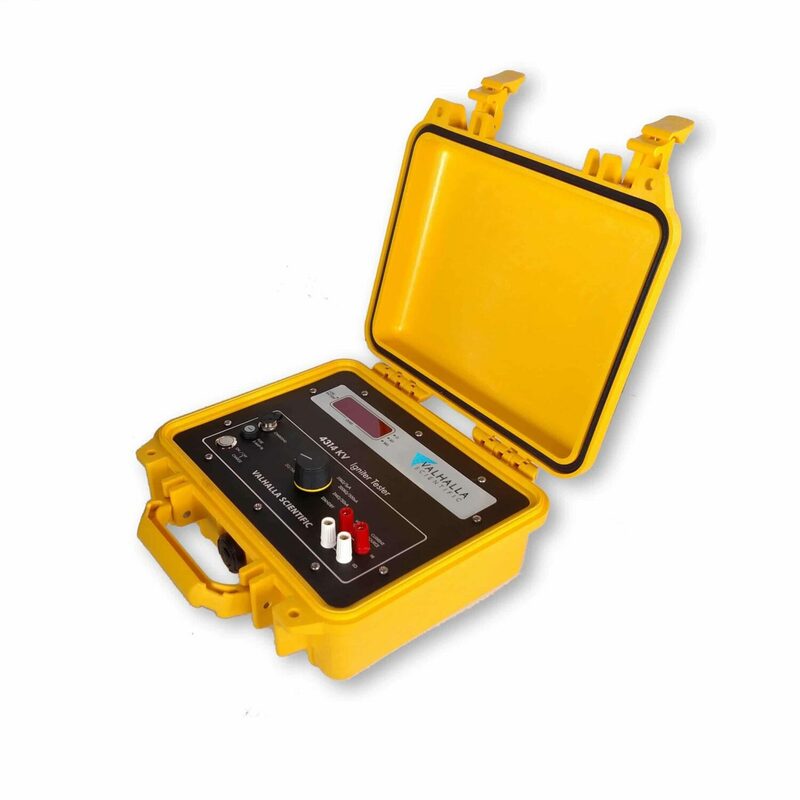 Inherently-safe and reliable resistance testing of explosive or volatile devices. Water-resistant, drop-safe, and can be operated in direct rain. 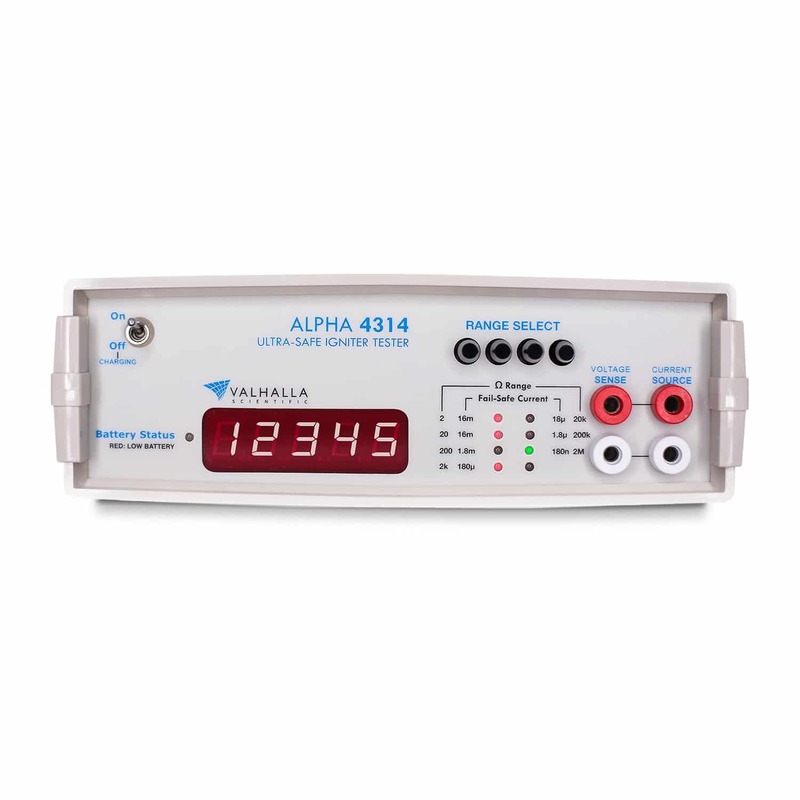 The Alpha 4314 Digital Igniter Tester is a portable digital ohmmeter which has been specifically designed for ultra-safe resistance testing on explosive devices (i.e. squibs, detonators). A 6-pin Mil-Spec circular connector on the front panel of the 4314AF replaces the four-terminal banana jacks and the battery charger jack. 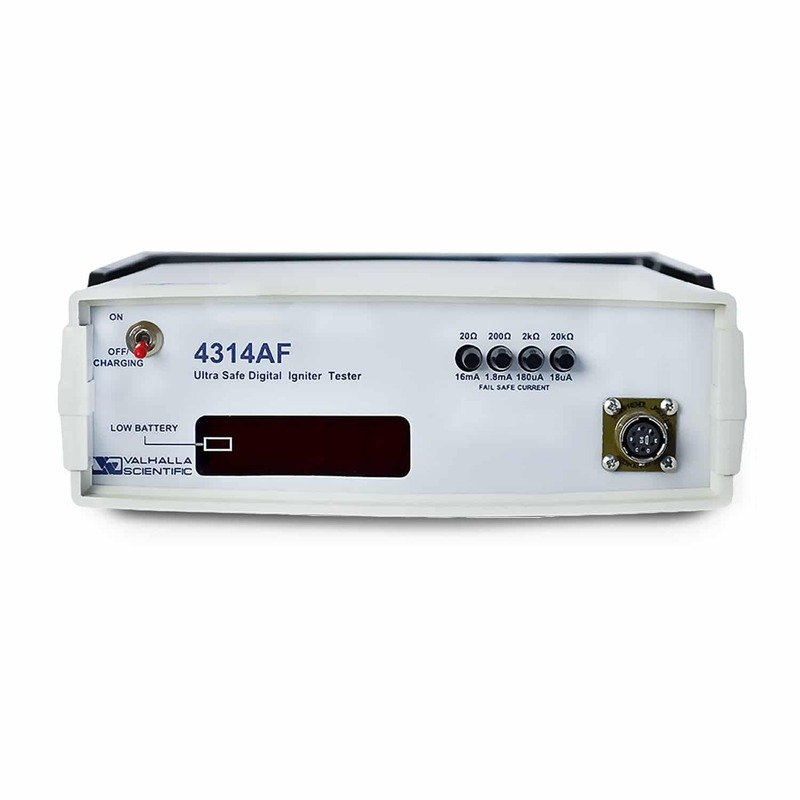 The 4314 AF utilizes separate adapter cables for measurement and charging of batteries, which ensures that the charge circuit cannot be activated while measurements are being made. Describe how your instrument is malfunctioning and include any information that will help us diagnose, repair, and calibrate it quickly. Accepted file types: jpg, gif, png, bmp, pdf, doc, docx, xls, xlsx. Upload any photos or documents that our engineers may find useful in diagnosing your instrument.